I been detecting since 2006 and since the last 3 years I am a full-time Prospector, Detectorist, Operator, call me what you will. I was using all of Minelab's GPX range of detectors since their release but I am now using the GPZ 7000 detector almost exclusively and on a daily basis since about April. So, for what it’s worth…..here is my opinion. 1- YES, it finds gold and YES and it does so very well, no argument here. 4- Wireless Speakers (which turns off by it self after about 15 minutes if detector is switched off). 1- It’s design, weight, some of the material used for construction and the inferior and inadequate supply of included accessories. Personally, I wish Minelab would have also included or at least made the provision for the end user to load something like the Garmin 25K TOPO Map's via a SD Card Slot with the included GPS function and include the ability to load / use cached Google Earth Sat imagery for a given location. 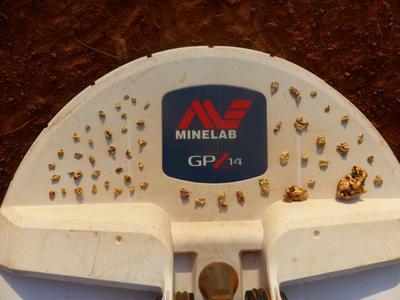 Don’t get me wrong, I applaud Minelab for developing this GPZ and it’s gold finding ability but I must question if they given much if any consideration for the end user’s want’s and needs especially here in Oz. 2- Intend to spend many many weeks or month a year in the Goldfields- . then my advise is, to go ahead and buy one. When shelling out 11K for what should be 21st Century technology the screen resolution, user Interface & connectivity options in this day and age, is to say the least- a bad joke. Should you already have a GPX 4500 or GPX 5000 my advise is to keep it, if you can afford that luxury. The bottom line is that the GPZ 7000 will find "some" targets deeper due to better technology and maybe therefore a bit more easily vs Minelab's GPX 4500 or 5000 detectors. Best Regards and dig deep!